One of the most common reasons that people put off home decor and design projects is due to budget limitations. With the state of the economy being what it is,most of us simply don’t have the extra money to spend on decor, or if we do have the money we can think of a million more important things that could be done with it. However,interior design doesn’t have to be such a drain on your bank account and wallet. There are a variety of ways to achieve a fresh, updated look in your home without spending a lot of money. Here’s are some economical decorating tips so you can renew your home’s design without breaking the bank. It goes without saying that the most obvious way to save money is to just not spend it, or to spend as little as possible. When it comes to decorating, the way to do this is to be thrifty when it comes to sourcing your furniture and decor. Pick up low-cost furnishings for second-hand and thrift shops, yard sales, estate auctions, even Craigslist and eBay. Many times something you’ll see for sale will be in like-new condition, barely used and sold mostly because the seller doesn’t have room for it. Another thing to consider when you’re buying used and discount furniture is to give those items that look a bit worn a face lift. There’s a lot of quality-made older furniture out there — especially wood furniture, much of which tends to actually look better as it ages —that simply needs a fresh coat of paint, refinishing, restaining, or reupholstering to become something shiny and new. What’s more, turning a used furnishing into something new gives you the opportunity to make it your own, creating something that reflects your personality in its styling. Often it’s the salvaged, renovated pieces that become the focal point of a room. 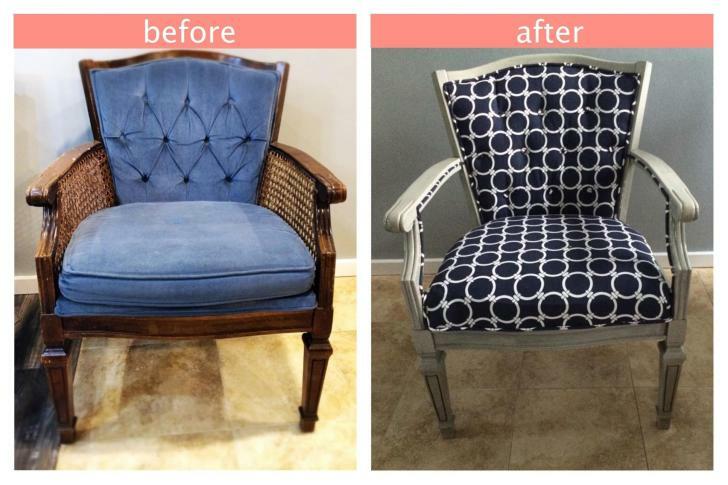 If you want proof, invite your family and friends to see your new decor and wait for them to rave about the quirky, unique chair that you just reupholstered. Things like decoupage and collage, painting, sketching and the like aren’t popular only because they’re fun arts-and-crafts projects. They are fun, but they’re also a great way to give things a unique look or to create one-of-a-kind artwork for your home. 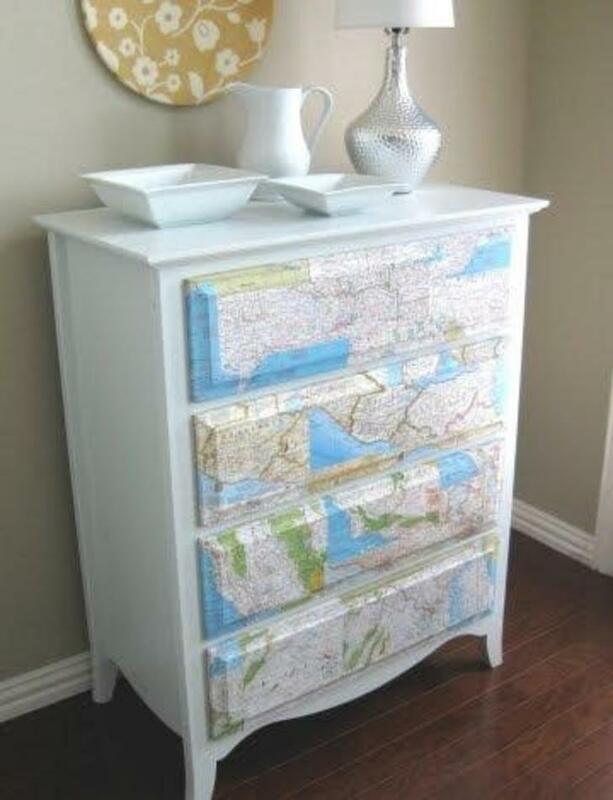 Take the drawers out of a chest-of-drawers, decoupage maps or newspapers to the drawer faces, paint the remainder of the chest a fabulous color that goes with the room’s decor, and you have a beautiful piece, the only one of its kind. 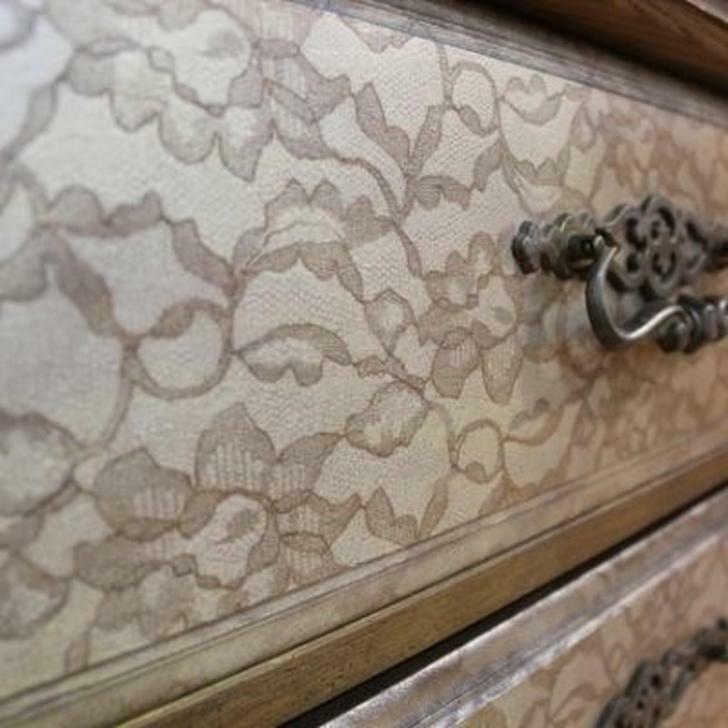 If you’re partial to more of a feminine, delicate look, find a variety of lace and use them with spray paint to stencil gorgeous, ornate designs on furnishings and picture frames; use metallic paint if you want your decor to have an eye-catching sheen. 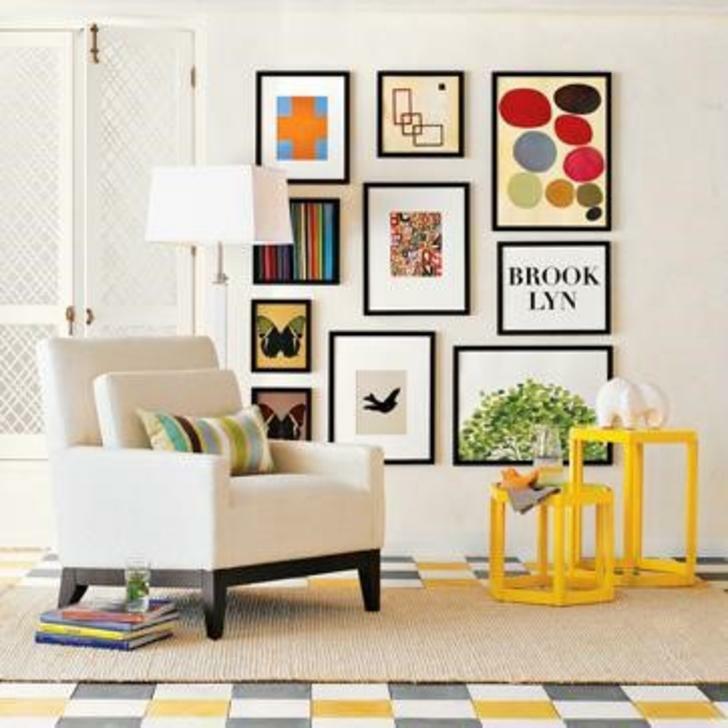 Paint spatter using a variety of colors is a fun pattern and texture that will give a space an energetic feel. When it comes to modernizing your home while staying thrifty and budget-conscious, the sky’s the limit. For more design tips and tricks, head to Modernize.com.